Don’t let unpredictable fuel prices get you down. When you buy your gas or heating oil from Cherry Energy in advance, you can get iFuel price protection for your propane and heating oil. Price Cap* – Our most popular pricing option for propane customers. Sign up and enjoy the benefits of our Level Payment Plan plus a guaranteed price cap for the entire heating season. The cap price is the highest you would possibly pay all year. Any time our delivery price is less than the cap, you pay the lower amount. Seasonal Prebuy Price** – Offered for Auto-Fill customers. Lock in your propane price for the season by purchasing up to 100 percent of the gallons you used during the prior year. Market Price – Pay the going price per gallon at the time of delivery, recognizing that the price of propane will fluctuate throughout the season. 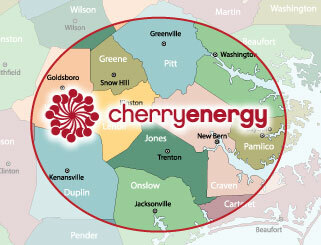 Take advantage of price protection from Cherry Energy and save a bundle on your propane gas. Contact us to get started today. * Price cap fee is required and varies from year to year. Minimum annual purchase of 100 gallons required. ** Minimum annual purchase of 100 gallons required. Per-gallon adjustments are subject to change after the first season of Prebuy contract; improperly sized tanks may result in fee and/or per-gallon adjustments. All fees and per-gallon adjustments are subject to change after the first season of this contract. Improperly sized tanks may result in fee and/or per-gallon adjustments.